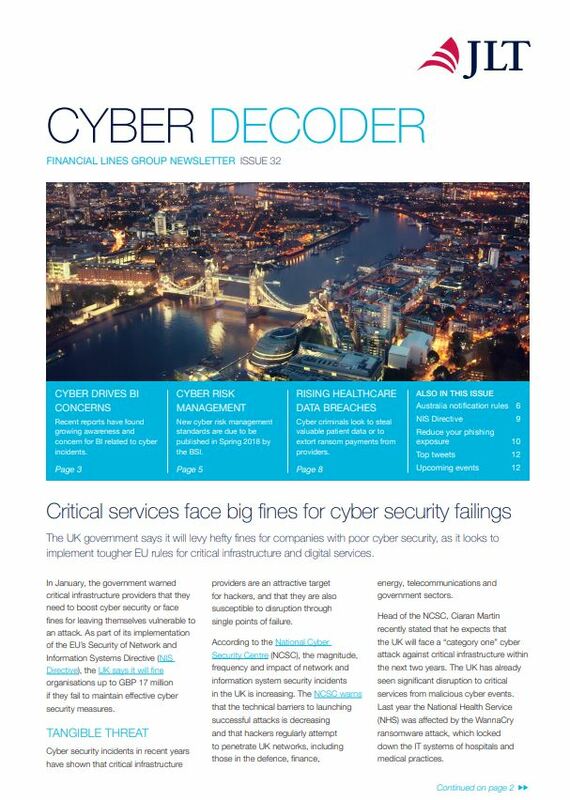 SOFTimpact joined in 2017 the JLT Cyber Consortium and features in this months Cyber Decoder magazine (Page 10/11). JLT’s cyber risk consortium is a unique collaboration of leading companies across the software, hardware, advisory, consulting, and legal industries that effectively support clients around their strategic, operational, financial, and people issues impacted by cyber risk. The consortium brings together content, best practices, and subject matter experts to collaborate and solve cyber risk. On a monthly basis they publish the Cyber Decoder. You can download the article by clicking on the pdf icon.